Is it time to say goodbye to your pool? Well, given their nature, pool demolishing and in fill are tricky. Most jurisdictions have tight regulations around these procedures. But have no fear! We at Beaumont Demolition are fully certified in pool demolition and in fill and know our way around in the world of regulations. Our team of demo pros services Beaumont, Port Arthur, Lake Charles, Nederland, Orange, Vidor, Lumberton, Sour Lake, China, and Silsbee, Texas and the surrounding areas. Your local demo contractors offer four types of pool demolition and in fill: partial removal and non-engineered fill, partial removal and engineered fill, full removal and non-engineered backfill, and full removal and engineered backfill. Partial removal and non-engineered fill is the most common as it is the fastest, cheapest, and most convenient method of pool demolition and in fill. It involves puncturing the swimming pool bottom and demolishing the side walls. The filling process does not require engineering oversight. While it is relatively cheap, the process has both pros and cons. Partially removed pools are considered non-buildable by most local jurisdictions, meaning no additions will be allowed to be placed there, which could potentially negatively affect property value. However, it is the easiest method and its possible the area wasn't considered buildable in the first place. Count on our professionals to perform this work to eliminate the risk of sinkage and swelling and ensure proper seepage. Partial removal and engineered fill is very similar to the first option. The main difference is that it involves and requires the oversight of an engineering technician. Our team at Beaumont Demolition is fully certified to provide this oversight. The engineering aspect involves density testing and an official letter to be sent to the local oversight authorities. Our legal savvy team can handle all of this for you. Partial removal is less intensive and invasive than full removal, and it will take less time to complete. Give us a call today for a consultation and a quote to know which process is right for you. Naturally, full removal is a more intensive and expensive process than partial removal. However, full removal probably will pay off more in the long run because it does not negatively impact property value nearly as significantly. The process involves fully removing and hauling away the entirety of the pool and all its materials, including all the concrete, fiberglass, liner, and whatever else. 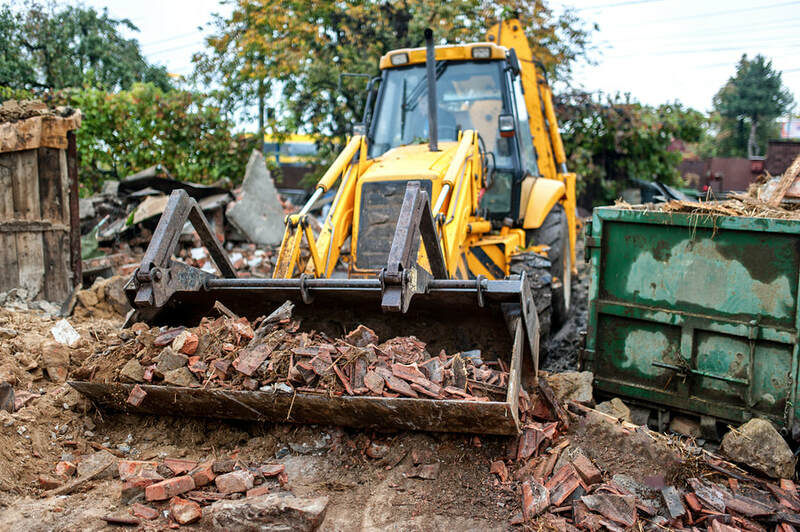 Our certified demolition pros will properly dispose of all of this and recycle or salvage any material that can be reused. The area is then filled and compacted. Full removal allows a smaller window of error as, if done correctly, it removes the possibility of sinkage. This option does not require engineering oversight. This process is similar to the non-engineered full removal option. The difference is that it requires engineering oversight. Our advice is that if you are going through with the intensive and stressful process of full swimming pool removal anyway, you might as well invest the extra ten percent or so in engineering oversight. A certified engineer can officially designate the filled-in pool area as "buildable," creating no ill effects on property value. This is the absolute best option for pool demolition and infill.